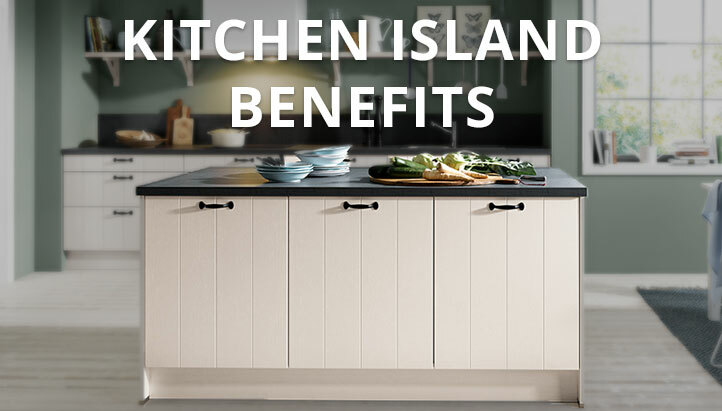 Kitchen Islands are a great addition to most kitchens and they’re something we often get asked about in our kitchen showrooms, so we decided to put together an article answering some of the most common questions, and sharing our top 4 reasons you should have a Kitchen Island in your home. 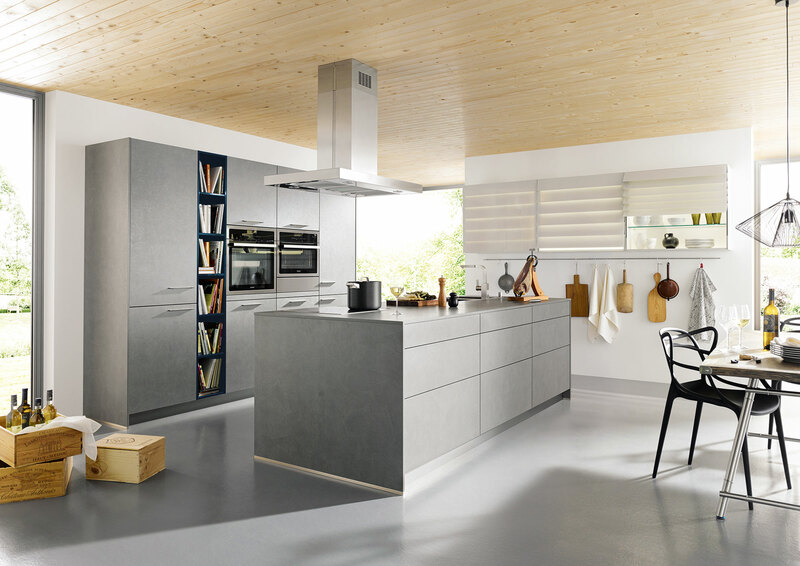 But first, what is a Kitchen Island? A Kitchen Island is a piece of freestanding furniture most commonly positioned in the middle of a kitchen. Kitchen Islands are a versatile piece of furniture and will often feature some of the following: seating areas, refrigerator drawers, storage areas, built-in appliances, hobs and more. 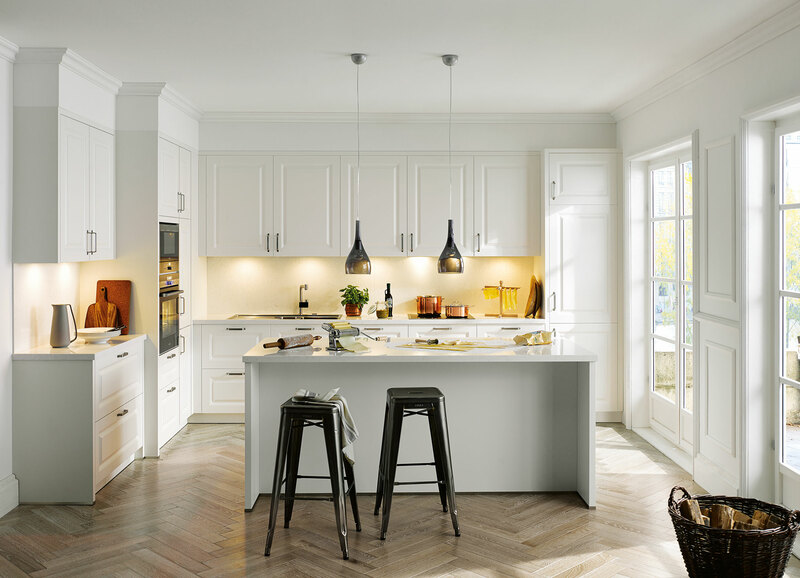 What’s the difference between a Kitchen Island and a Peninsula? 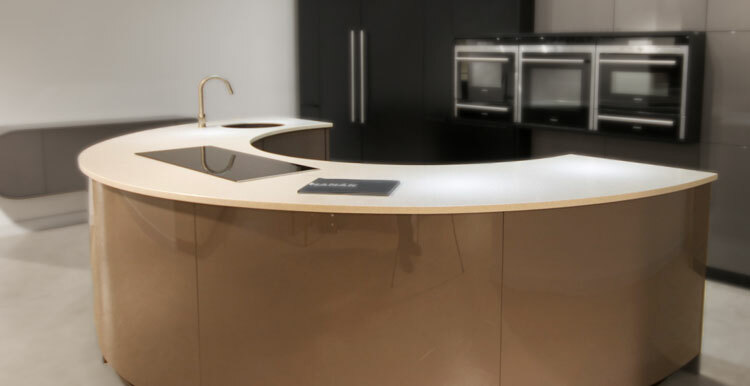 A Kitchen Island is freestanding (not connected to the rest of the kitchen), whereas a peninsula is connected, usually forming a U-shaped kitchen. Peninsulas are often used as a divider between the kitchen and its adjacent room. 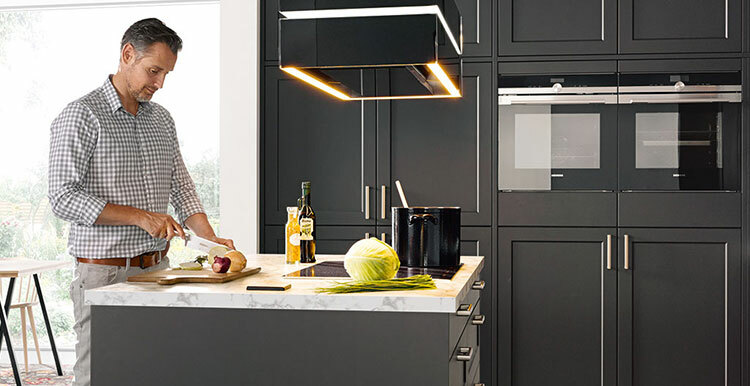 So, what are the advantages of having a Kitchen Island? Whatever sized kitchen you have it’s often difficult to find counter space when you need it. Often times the problem is that the kitchen has so many useful appliances, there isn’t as much countertop space as you’d like for prepping food. This is one of the big advantages to having a Kitchen Island as it gives you more space to prepare food without feeling restricted. The space can also be easily converted into a great place to serve food. 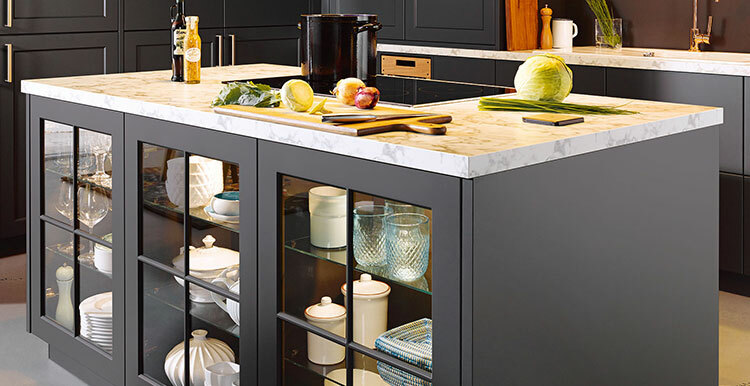 One of the main reasons people opt for having a Kitchen Island is the extra storage options they bring with them. You can easily add more cabinet space under the counter for extra drawers and shelves as well as rubbish bins, recycling canisters and more. Kitchen Islands are a great place to store anything you need an easy to access space for. Another popular option is adding an additional seating area to one side of the Kitchen Island. 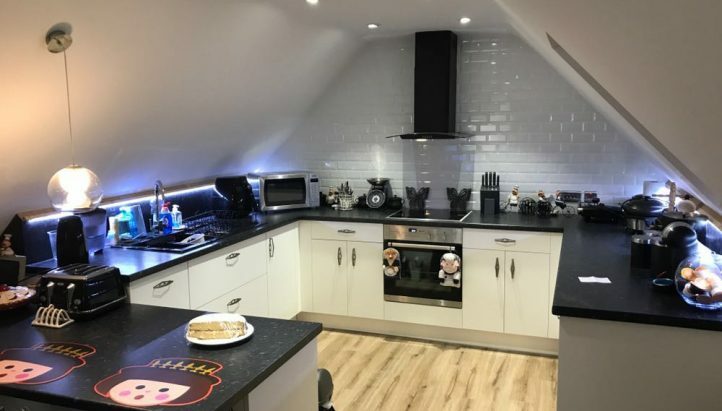 It can be used as a welcoming place for people to sit whilst food is being cooked or a place for people to hang out whilst you are entertaining. 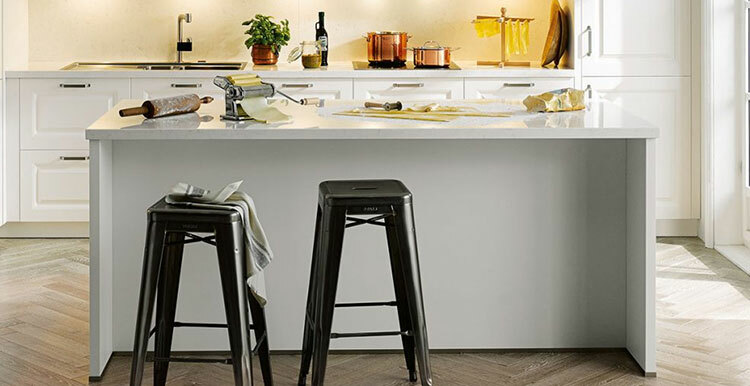 If you are low on space, having a seating area on your Kitchen Island can also save space in your kitchen. You often won’t need a kitchen table as well as a seating area on your Kitchen Island. Whatever you use it for – extra seating is always a bonus!